MMF, in partnership with YouTube Music, have launched the Accelerator Programme for Music Managers- the first ever independent funding and professional development initiative designed solely for artist, songwriter and producer managers. – over £3000 and 50+ hours worth of manager-specific education courses covering everything from advanced digital skills, negotiation techniques, managing mental health, legal skills, business management and much more. – funding to attend a music industry conference festival within Europe. APMM is aimed at managers based in England and Scotland who are in full or part-time employment, looking to make the leap into full-time music management with their own company. If you are managing an artist, songwriter or producer and their business has a track record of proven income, you could be eligible for up to £15,000 in a bursary grant. As a participant on APMM, you will be expected to take part in a year long training programme with funded travel to attend courses, meetings and mentorship. The courses have been designed by our education partners, CMU and MusicAlly and you will be funded to attend a music business conference. There will be additional, optional seminars provided by MMF associates and you will receive all the benefits of MMF membership. You will also be able to benefit from low-cost or free business services from some of our partners listed below. APPLICATIONS ARE NOW CLOSED. The MMF announced the funding of 24 managers for 2019. “The role of music management has undoubtedly been elevated across the past decade. It’s a challenging profession, and a good manager needs to be across all aspects of their client’s business – be they an artist, a songwriter or a producer. However, many managers also face financial uncertainty, particularly in the early stages of their career, and we fear that without proper support the music industry will lose vital talent from across the country. GROWTH To strengthen and stimulate UK based music management enterprises and support this growing sector, driving activity, artistic development and investment. DIVERSITY To enable a diverse talent pool of next generation music managers in expanding their economic and cultural footprint within the UK and around the world. SUPPORT To address investment gaps at key phases of managers’ company and industry development cycles. SKILLS To develop key skill sets in the management community, through training and mentoring. RESILIENCE To springboard self-sustainable businesses that can go on to develop multiple artist careers. The creator you work with must have made at least £20,000 in gross income in total, including pipeline income. How long have you been operating as a manager? Tell us a bit about the artists you work with and how you came to work with them? Why should you be a Accelerator Manager and give a brief outline of your plans over the next two years. Applicants who are accepted on to Stage 2 will all receive one years free MMF membership.You will be expected to submit a short 24 month business plan outlining all your planned activities. You will be sent all the information and materials needed to complete this stage. During the week of 26th November, third stage applicants will be expected to attend an interview with representatives of the MMF, who will make the final decision and inform the successful candidates in writing. ACE champion, develop and invest in artistic and cultural experiences that enrich people’s lives. They support activities across the arts, museums and libraries – from theatre to digital art, reading to dance, music to literature, and crafts to collections. The Music Managers Forum (MMF) is delighted to partner with Arts Council England (ACE) as they add financial support to the Accelerator Programme for Music Managers. ACE’s backing will underpin all educational and training aspects of the initiative, enabling progressive managers to benefit from expert guidance from the programme’s delivery partners CMU Insights and Music Ally, as well as networking sessions with companies including Harbottle & Lewis, Simons Muirhead & Burton, Simkins LLP, Sheridans, SRLV Accountants and Music Insurance Brokers. 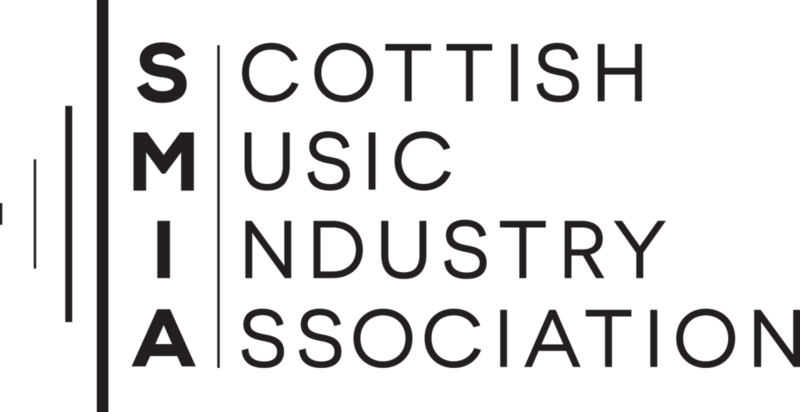 The Scottish Music Industry Association (SMIA) is a membership organisation and innovation agency which exists to represent and develop Scotland’s music industry. With a sharp focus on common rather than competing interests; a commitment to communicate and cooperate across all areas of the industry and, above all, a determination to deliver services, projects and a programme of events that are both meaningful and of benefit, the SMIA is inclusive, positive and progressive; meeting need, realising potential and encouraging ambition. Urban Development was founded in 2000 and is an Arts Council England RFO/NPO. Unique amongst youth music charities through its pivotal role within British urban music, as well as the wider UK music industry, the organisation, with its core audience demographic of 14 – 25-year old BAME, supports artists, music industry hopefuls and future music talent.Through industry-led business/employment support programmes, career guidance, access to resources and showcasing, UD has supported thousands of participants, with core demographic of 14–25 year old BAME, to access and progress within the music industry. The Urban Development Music Foundation (UDMF) is a registered charity (number 1149090). Operating in the country’s poorest and most diverse boroughs, the foundation’s aim is to establish a national, accessible, structured and sustainable progression pathway in popular/urban music, to advance education, develop skills, improve opportunities and relieve unemployment. Urban Development is located in London’s Tileyard, with three regional centres in Derby/Nottingham, Manchester and Bristol, working in partnership with Baby People, Brighter Sound and Bristol Plays Music respectively. Artists developed and championed at the start of their careers include Labrinth, Little Simz, Maverick Sabre and Devlin. Established over 25 years ago, Generator has grown to be the leading music development agency in the UK and the only one to work on developing artistic talent and businesses. Through its talent development programme and label, Tipping Point, it has worked with artists and managers such as Owain Davies (Ben Howard/Sam Fender), The Lake Poets, Nadine Shah, Jake Houlsby, Lulu James and Eliza and the Bear. It offers a range of support services for those wanting to develop their potential and explore career pathways in the wider music industry, including masterclasses, creative development, courses and workshops, showcases, mentoring, single releases, development campaigns and publishing deals. It also has dedicated programmes that focus on specific underrepresented areas: AAA (Access All Areas) for disabled artists, WeCreate for young female artists and Switch which develops music production techniques for NEETs, as well as running an annual multi-venue emerging music festival in the North East of England, Evolution Emerging. ILUVLIVE is a live music and artist development platform. They are a Not For Profit National Portfolio Organisation funded by Arts Council England and have been operating since 2004. Initially, a London based showcase hosted by Ras Kwame and Twin B, they supported Ed Sheeran, Jessie J, Tinie Tempah, Emeli Sande, Chip, Wretch 32, Katy B, Ray Blk, Izzy Bizu, Ella Mia, Tom Grennam and Plan B to name but a few often on numerous occasions and years before they were signed. Most of these artists played with the iluvlive house band and many performed with a live band for the very first time at ILUVLIVE. They aim to provide a unique platform for artist to perform, collaborate and network and currently run around 40 events a year across six UK cities offering a monthly residency in London, six events a year in Manchester and Birmingham, occasional events in Leeds, Bristol, Leicester and Brighton and a range of iluvlive presents shows which can take place anywhere in the country. They also run an annual artist development programme and have a record label and management arm looking after Izzy Bizu and Emmavie. Small Green Shoots was founded in 2009 with aim of giving young people from disadvantaged backgrounds (so-called NEETs) an opportunity to engage with music and the arts, and to use these experiences as a springboard for their future. Our ethos is education by stealth. Using our networks to develop projects and events that appeal to young audiences, and that result in a multiple of positive outcomes for all our partners. As one of Arts Council England’s National Portfolio Organisations, Small Green Shoots has also piloted and developed our comprehensive and successful Young Shoots Programme. Offering an alternative route into the workplace, each year this initiative offers a handful of young apprentices the opportunity to manage our events, and to benefit from placements in companies like MTV, Sony ATV and Adidas. CMU helps people navigate and understand the music business through media, training, consultancy and education. CMU Insights is our business intelligence unit offering training and consultancy to music companies and companies working with music. CMU Insights provides intelligence and expertise about numerous aspects of the modern music industry, including music rights, the digital market, digital licensing, brand partnerships, artist deals, ticketing, fan engagement, music and social media, and direct-to-fan. As well as our own acclaimed programme of seminars and masterclasses, we run courses for MMF, BPI MU and IMRO, as well as in-house training sessions for music companies. We also present speed briefings at music conferences around the world and our own three-day conference as part of the Great Escape showcase festival in Brighton each May. CMU’s research work includes the ground-breaking ‘Dissecting The Digital Dollar’ project for the MMF, helping artists, songwriters and managers get to grips with how the streaming business works. Music Ally has over a decade of experience providing digital strategy, marketing and innovation training to clients including Facebook, Redbull, Spotify, Universal, Sony and Warner, AEG, Beggars Group, Domino Records, and myriad agencies, managers, startups and entrepreneurs. Our business-to-business training spans and has been tailored to over 30 countries’ needs, and has been rated by thousands of professionals. We also work across the educational sector with world-class universities including Berklee College of Music, NYU, the University of Westminster, the Henley Business School and more; with cultural and creative industries agencies such as CIDA and Generator; and with world-class conferences such as Midem, By:Larm, Primavera Sound and beyond. Harbottle & Lewis has represented some of the biggest names in the music industry for more than 50 years, supporting them at every stage of their development. We work with major and independent labels and publishers as well as major worldwide talents, including musicians, song writers, producers, and underground and breakthrough talent. We often work with artists, writers, producers and managers at the start of their careers to help them develop their reputation and protect their rights. We work on all types of music industry deals, and are able to advise on music issues across the full media spectrum. Simons Muirhead & Burton is a first class commercial law firm based in London’s West End.We combine legal advice and representation of the highest quality with an accessible and personal service to all clients. We work with individuals, growing businesses and large organisations in many areas of expertise. We support our clients, from those who need an adviser to protect their rights and interests, to start-ups who need guidance as they step up to the next level, to public bodies and international businesses who need sophisticated advice as they grow and face new challenges. Simkins LLP is a leading media and commercial law firm. We were founded in 1962 as one of the pioneering firms for the entertainment and media industry and are still best known for our market-leading practice in that area. Today the firm works with clients from a broad range of industries and we offer a full range of legal services in corporate and commercial law, property law, employment law and dispute resolution. Across our practice, our lawyers have an outstanding reputation for providing high-quality, responsive advice that is always commercial and focussed on our clients’ needs. Sheridans is a leading media law firm whose lawyers combine the in-depth legal knowledge and breadth of expertise and experience required to give unparalleled advice to their clients. Sheridans is recognised as one of the UK’s preeminent firms in both the music/entertainment and technology sectors, representing a host of music talent from new and emerging artists to household names, and technology companies from start-ups to established blue-chip multinational entities. Sheridans’ has a dedicated Music/Digital Media/Technology group comprising music and specialist technology lawyers with a wealth of experience across all aspects of both the music, digital and technology industries to provide a unique and synergised legal and commercial service to these sectors. This is complemented by the firm’s experts in employment, film, television, interactive and computer games, data privacy, cyber risk, trade mark, fashion and reputation management, which enables the provision of a comprehensive legal and commercial service. From a two partner firm at its inception in 1988, SRLV has developed and grown to be one of the top 50 firms in the UK with 15 partners and over 130 professional and administrative staff. Organic growth and strategic acquisitions have brought the company to the size it is today, but the core of our success is our underlying passion and commitment to build strong client relationships. Whether advising individuals, owner-managed businesses, listed companies, or international entities, our goal is to work closely with our clients and help them achieve their ambitions. The company has developed over the past 30 years by offering a mix of energy, enthusiasm and expertise to an ever increasing client base. SRLV operates from offices in New Bond Street, London, W1. Music Insurance Brokers is a trading division of Media Insurance Brokers Ltd who were established in 1990. Our team have been involved in the music sector for a long time; playing in bands, tour managing, band management as well as providing insurance for the industry. We have seen the industry change, from one centred around recorded albums and single sales, into a much more diverse place thanks to the freedom and accessibility that the internet and digital format has provided. The current touring, gigging and music festival sector is buoyant, exciting and demanding. We have developed and adapted our insurance solutions to meet the needs of the changing music industry. Whether you are a new artist or band or you have been touring and gigging forever it is equally important to insure your equipment properly and protect yourself and the public from risk. We provide insurance for music events, festivals, studios, equipment suppliers and technicians from individual freelancers to large companies. In short – whatever you do in the music industry, talk to Music Insurance Brokers about your insurance needs. Is there a particular age I have to be to apply? No you can be any age to apply. If the act I work with is based in the England or Scotland, can I still apply even if I am not? No, you need to be living in England or Scotland in order to apply, but the act may be living somewhere else. £20,000 seems like a lot to have earned, can I still apply if my act has not earned that much? Don’t forget that this is gross income – as in anything the artist has received or is owed including PRS, PPL, sales, advances, streams etc. If you sit down and work it all out, you may be surprised that you actually have earned this much or more. If it is slightly under, we would recommend still applying and making a strong business case for why you should be funded. What if I am working with a co-manager? You can still apply if you are working in partnership with another manager. If you are both applying, please email fiona@themmf.net to confirm the two names that are applying as a management partnership. What if I manage two acts that between them have earned over £20,000 but not individually? It is preferable that at least one of the acts you work with have earned over £20,000, however, we advise you still to apply and make a strong business case as to why you should be funded. Do I need to have been working with the same act for the past 18 months? Not necessarily, as long as you have been managing artists, songwriters or producers for 18 months or more, you are eligible to apply for the programme. How much of the training and education programme will I be expected to attend over the 12 months? You will be required to attend at least 80% of the training on offer and will have travel funded to attend. A full schedule of the programme will be made available in Round 2.